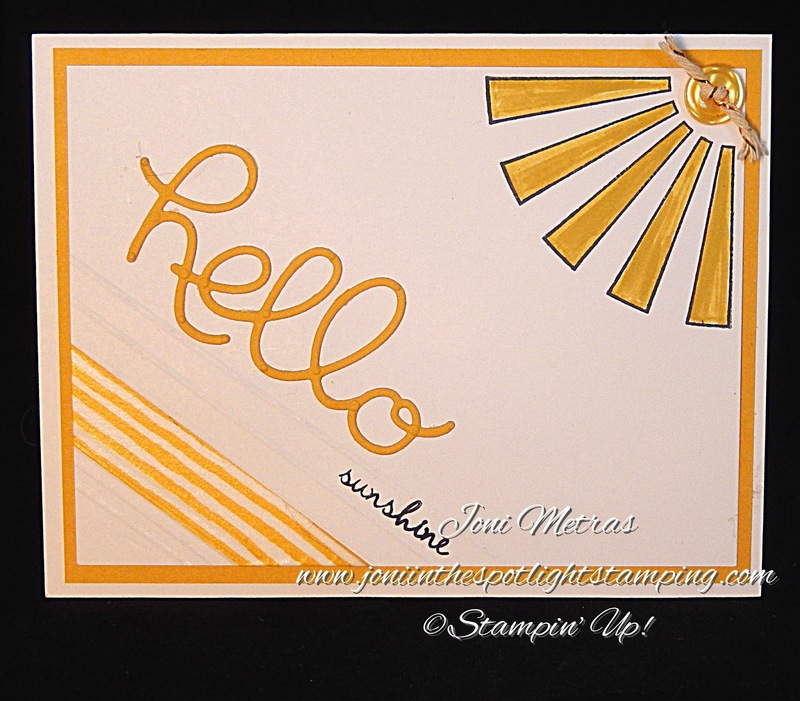 Joni in the Spotlight Stamping: SHE PLUNGES! SHE SCORES!!!! 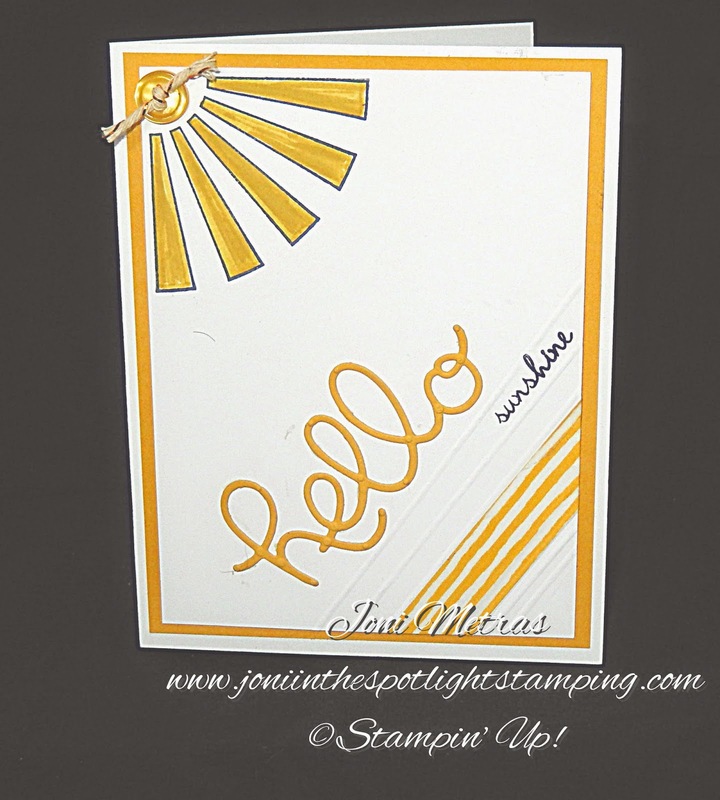 So this week over at The Paper Plunge we are featuring scoring on our cards! Now we score just about every card we make-or we should anyway-when we fold them! But this challenge is using scoring as a design feature. Sounds easy. And it is easy to do, but not so easy to design!!! This one took some thinking!!! The scoring is on the diagonal. I used some Washi Tape to draw attention to it. It's tough to see in the picture. I tried so many shots to get it to show up nicely. I used the So You stamp set. It's designed to go with the So You Project Kit! That's really cool! It's like this little scrapbook! Love it! The little button you can get for FREE during our Sale-A-Bration sale!!! The weather we are having here guided the design!! 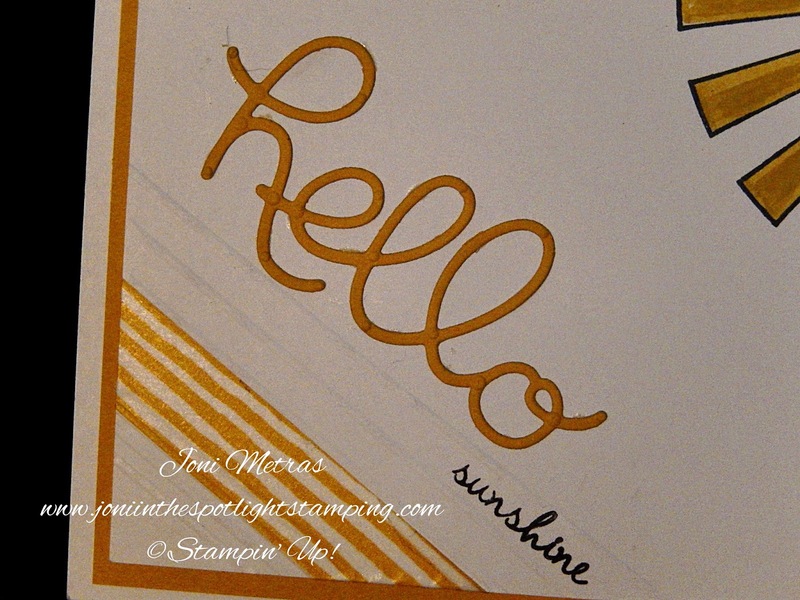 It's so snowy, cold & nasty, that I really needed a little sunshine in my life!! It's a bright cheery card to cheer up my vitamin D!!!! But look what happened when I went to photograph it, I realized it could go either way! lol Didn't plan that!!!! So pop over to The Paper Plunge & see what's happenin' over there! I know there are some cool designs!!! !